From the Communications Committee (Markus Barrera-Kolb chairing): We're excited to announce that our website is now responsive - view it on your tablet or mobile phone and you'll notice that it's much easier to view and navigate when you're on the go! We're also working on developing a Passive House project database specifically for the Pacific Northwest. It'll be a great addition to the databases offered by the PHI and PHIUS, and will help bring focus to the tremendous growth in Passive House in our region, build more momentum and bring together passive house professionals, developers, clients, and public officials. Stay tuned! From the Policy Committee (Zack Semke chairing): we've been exploring ways to incentivize very low-energy use buildings (eg. 20 EUI) in the region, particularly the Seattle and Portland metropolitan areas. We've had fruitful conversations with key players from the City of Seattle, King County, International Living Future Institute, Housing Development Consortium, the Bullitt Foundation, and others and have been sharing the Passive House success story of the Brussels Exemplary Buildings Program as a model to emulate. How can we spark the catalyst necessary to quickly transform the marketplace for building design and construction in the Pacific NW and beyond? And how can we refine the way we communicate about Passive House so that it resonates with varied audiences? The committee's Portland contingent has been working to develop a compelling elevator pitch for PHnw's policy efforts. From the Events Committee (Albert Rooks chairing): Some big changes in the conference line up this year that we're very excited about. This year our annual conference will be held in early April in Olympia, at the newly renovated Red Lion Inn, giving us a first class conference center, easily accessed by all of our members, and ideally configured for attendees and vendors alike. Stay tuned for exact dates. This year we are also adding two new events: a one-day conference in Spokane to serve our eastern region, and a half-day conference in Seattle focusing on the development potential of Passive House geared towards real estate, banking, investment, and appraisal professionals. The Spokane conference will be held at the Red Lion Inn at the Park on Friday, November 18th from 8am to 5pm, and the Development Potential conference will be held in early April, 2017. Membership is an important aspect of our organization. If you are receiving this newsletter and have not renewed your annual membership, please consider taking that important step - it really does help us realize our great events, build out our communication platform, and connect with policy-makers. Looking forward to a perfect September. 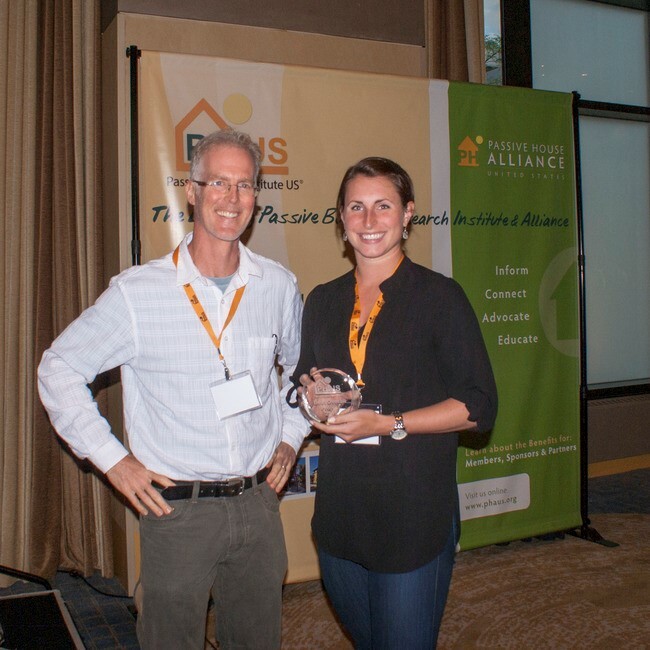 Submit your project to the 2nd annual Passive Projects Competition during the 2016 North American Passive House Conference (NAPHC) in Philadelphia this September. Back by popular demand, this juried competition recognizes fully-certified passive building projects of all types and climate zones. Here is your chance to showcase your work and celebrate the great strides being made in the field of passive building. Applications due August 31, 2016. 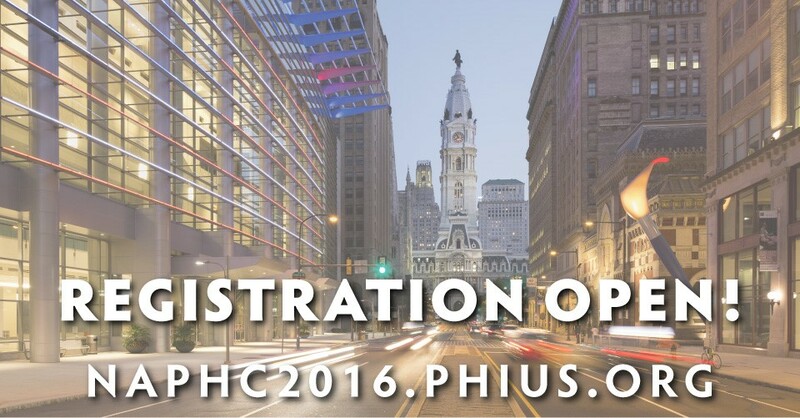 The winning and finalist entries will be unveiled during the opening of the exhibit hall and accompanying reception beginning at 5:30 pm on Thursday, September 22, 2016 in the Exhibit Hall of the DoubleTree City Center Philadelphia. Awarded entries will remain on display throughout the core conference from September 23-24, 2016. For more information and to apply, visit the 2016 Passive Projects Competition page. NAPHC2016 is just around the corner, but there's still time to register to attend the most prominent passive building conclave in North America. Here is your chance to connect with and learn from the best and brightest in the industry. Exhibitor Booth Space -- only a few spots still available! It's been decided: next year's 21st International Passive House Conference will take place in Vienna. The International Passive House Conference is the meeting place for experts from around the world on energy efficient construction. The Austrian capital is increasingly turning to energy efficient construction. 2013 saw the opening of the 20-storey RHW.2 office tower, at the time the world's tallest Passive House building. Vienna is also home to Eurogate, the first residential Passive House estate consisting of 800 apartments. Since then, numerous Passive House neighborhoods and settlements have been developed. Call for papers is underway. From Hinge Build Group, Portland: We are honored to have been asked to participate in Dwell Magazine's Portland Home Tour. It is so rewarding to be included in the company of such great examples of contemporary architecture. What is extra exciting is that we designed this home by using the Passive House standard as a design tool. The focus on placement and size of the window and door openings, the need for thick walls and over insulation on the windows all drove many of the major design decisions. This thoughtful approach to daylighting and quality also pushed us to look holistically at all the other aspects of the project. We used FSC certified wood, reclaimed as much of the existing home as possible, used local cedar and white oak for siding and flooring and because the foundation was solid we kept the new footprint the same as the existing 1940's era bungalow. We all know that the most sustainable projects are the ones that are the most loved, so we of course wanted to make a beautiful home that fit well into the neighborhood, while still being a strong, contemporary design. We like to refer to the style as the New Northwest Modern and are looking forward to our next example coming soon. We hope you get a chance to visit the home before the new owners take possession in September, or you can drop us a line via our website if you wanted to have a more private tour. 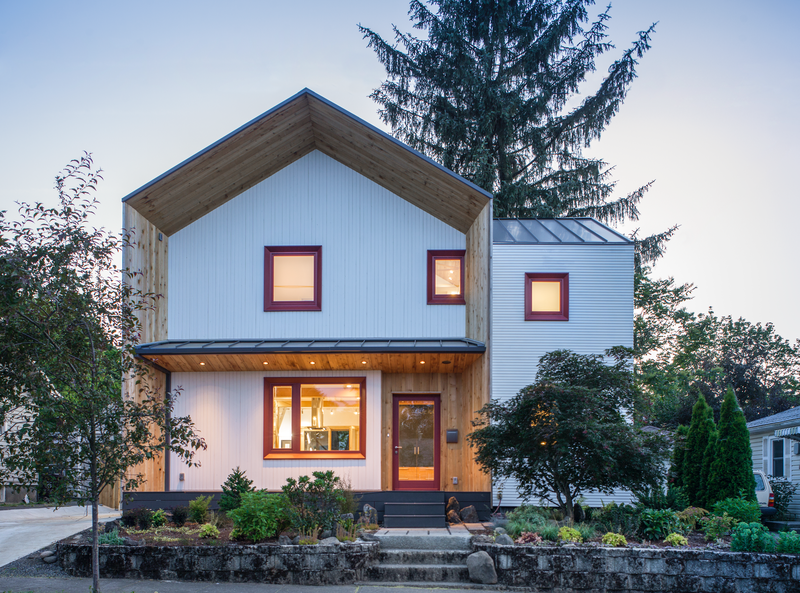 You can get your tickets to the Dwell Portland Home Tour HERE. See more about our exciting Passive House projects HERE. Congratulations are in order to the City of Vancouver BC, the Canadian Passive House Institute, and the other forward-thinking institutions responsible for Vancouver's new Zero Emissions Building Plan, adopted July 13. The plan means that Vancouver will eliminate emissions from new buildings by 2030, using Passive House and renewable energy to get there. Vancouver has become the model to emulate in the region fir sensible building policy that addresses the urgency of climate change. 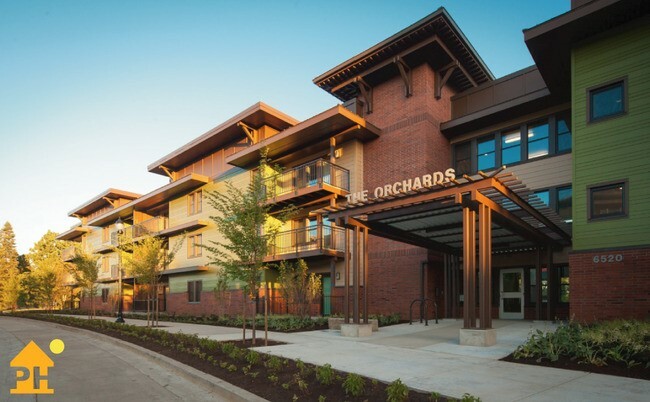 PHIUS is hitting the road this fall for a new round of passive building trainings. Take advantage of this opportunity to learn firsthand from leading industry professionals about how to achieve the most cost-effective, healthy, resilient, and energy efficient buildings on the planet. Topics: Advanced dynamic hygrothermal modeling capabilities of WUFI Passive and applications for multifamily projects. Note that this is not an introductory level class, attendees are expected to already have experience working with WUFI Passive. Topic: This 2-1/2-day training prepares third-party Quality Assurance and onsite verification professionals to understand the application of passive building and verification principles for multifamily and commercial projects pursuing PHIUS+ Certification. The course concludes with an exam. Successfully completing the course and exam qualifies the trainee as a PHIUS+ Verifier.